In his 7-year career Vijay Deverakonda has gone from strength to strength to claim his place among the foremost contemporary star-actors of Telugu cinema. One can see a concerted effort in his oeuvre to play diverse characters and to avoid those trademark mannerisms that his peers have patented for longevity. There is durability in fluidity. Vijay proves it once again with his new release. “Taxiwaala” is a breezy blizzard of easy scares and languorous laughter. This mix was recently a hit in the Hindi film “Stree”. It is attempted successfully again, bringing to the fused genre a kind of buoyant eeriness that makes ghosts and spirits non-threatening but not glib or over-casual. You may not be frightened by the spirit of the proceedings. But the scares are never scarce. The pace is maintained all through. “Taxiwaala” is all about Deverekonda’s love for his taxi. The two are as romantically involved as Jimi Hendrix and his guitar. There are scenes of spiked hilarity where the actor speaks directly to his car, as though it were a particularly bothersome girlfriend whom he acquired without checking her Adhaar card. I specially liked Deverekonda’s drunken monologue where he gets all mushy over the possessed car (Stephen King would approve of this mongrelized avatar of his machine-manoeuvred thrills). The plot is a landmine of ersatz spooks and unspecified eeriness. Admittedly,the post-intermission half is less spirited than the initial portions. But there are some devilish twists and turns all through . These ensure the audience’s inclusion . With its utter disregard for anything dark and anything beyond blithe entertainment “Taxiwaala” is Deverekonda’s lightest, brightest, breeziest work to date. The actor has himself a blast specially since some of the supporting characters are well etched. For example the motor garage help named Hollywood with his western swag is a hoot. There is a lengthy chase for a corpse in a morgue that overstays its welcome. Also, a lengthy flashback where Deverekonda disappears for a good 20 minutes, is bound to make his fans restless. But the film preserves the look and feel of massy persuasiveness even when the goings-on get a little too wonky to be accommodated in our range of suspended disbelief. A serious problem faced by Deverekonda is a heroine crisis. Not one of his releases so far has given him a well matched co-star. 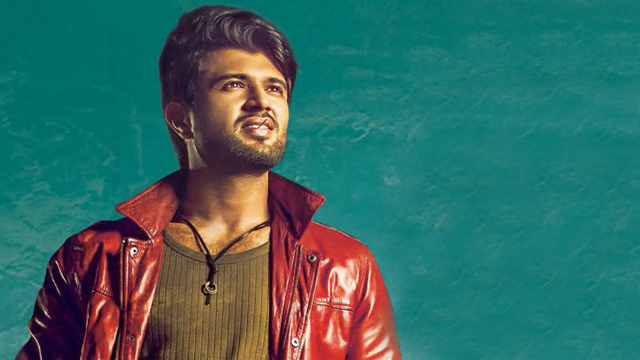 The female romantic lead in “Taxiwaala” is as dispensable as a speedbreaker in Formula 1 racing. This is actually the story of a romance between a man and his car which after acquisition proves to be not quite what he thought it to be. This film holds no surprises. And that’s because it wants us to go with its foretold flow. There is much to recommend in a film where a car comes to freakish life to finish off a doctor guilty of professional misconduct. Nemesis is just a joyride in this feel-good horror-comedy where Stephen King meets David Dhawan and they both head to see “Stree”. 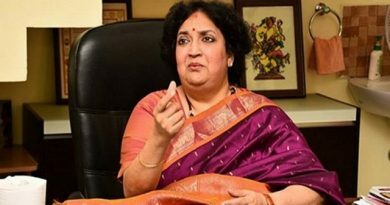 ஆதரவற்ற குழந்தைகளை தத்தெடுக்கும் முயற்சியில் ஈடுபட்டும் லதா ரஜினிகாந்த்!